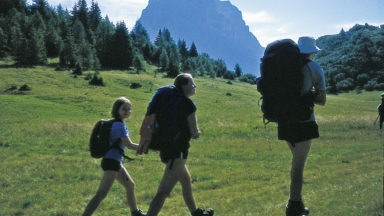 This guidebook presents 28 day walks in the Gran Paradiso National Park in the Italian Alps south of Mont Blanc, and the 12-day Alta Via 2 trek. The Alta Via covers over 148km of rugged mountains and valleys between Chardonnay and Courmayeur. 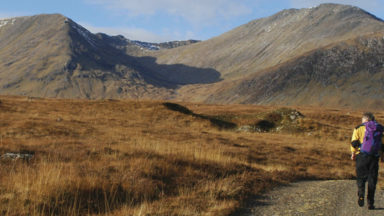 The graded walks vary from 2 to 33km and range from easy paths to routes for the experienced alpine walker. 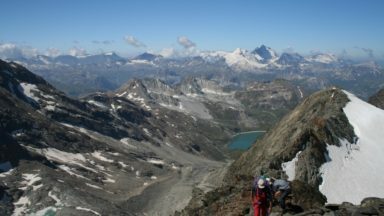 A guidebook to walking in the Gran Paradiso National Park in the Italian Alps, describing the 12-stage Alta Via 2 trek between Cormayeur and Chardonnay, and 28 walks ranging from 2 to 33km, as well as suggestions for combining routes into long-distance hikes. The Gran Paradiso sits in the Valle d'Aosta, in northwestern Italy, a region verging on pristine wilderness. Views of Mont Blanc, Monte Rosa and the Matterhorn ranges can be seen from routes in this guide. The guidebook provides plenty of practical information on getting to and around the Gran Paradiso, as well as advice on accommodation, language, equipment, planning and how to make the most out of any adventure in one of Italy's most spectacular national parks. A wealth of detail on points of interest walkers can explore, as well as information on wildlife, history, geology and flowers is also included. Despite its attractions, the park is relatively undiscovered. Walkers can often enjoy unforgettable days on excellent trails through spectacular valleys all to themselves, even at the height of the summer season. 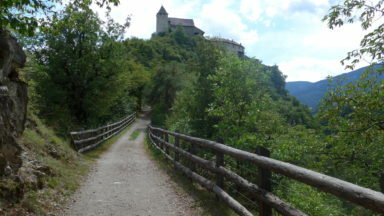 The itineraries explore highlights and special places to whet walking appetites. There's been an increase in cases of TBE (tick-borne encephalitis) across Europe, Italy included. Walkers should be aware that they may pick up ticks while walking through grass and woodland up to approx 1500 metres altitude. Not all ticks carry the disease but better safe than sorry. Simple precautions and plenty of useful information is available on the website: https://ecdc.europa.eu/en/tick-borne-encephalitis. Vaccination is also an option. Gillian Price gives detailed information about the area, when to go there, where to stay, and much more. Another guidebook published this year by this prolific writer [Gillian Price] is about walks in northern Italy. This time she focuses on the beautiful landscape of the Valley of Aosta and surrounding areas of the Gran Paradiso, Italy's first national park declared by King Vittorio Emanuele Ill, grandson of the 'Hunter King' in 1922 to protect the flora and fauna, as well as the beauty of its gorgeous scenery. Once again, Gillian Price gives detailed information about the area, when to go there, where to stay, and much more. The Valley of Aosta is breathtaking especially in summer. Walks off the beaten track along country and mountain pathways appreciating incredible landscapes and encounters with ibex and chamois in healthy fresh air are out of this world. 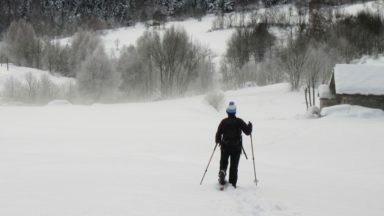 lt is real paradise for the sporty, as well as for the less equipped and experienced mountain lovers. 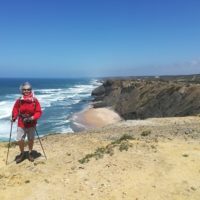 The writer recommends various places to see and a large choice of day walks, routes, maps and accommodation shelters for enthusiasts like herself, who enjoy hiking and wish to persevere along their discovery of nature. Your wonderful guides have been a pleasure to read, and have been particularly helpful, thank you! For the last 20 years, my wife and I have relied heavily on Cicerone guidebooks. Your wonderful guides for Amalfi, Dolomites, and Gran Paradiso have been a pleasure to read, and have been particularly helpful, thank you! 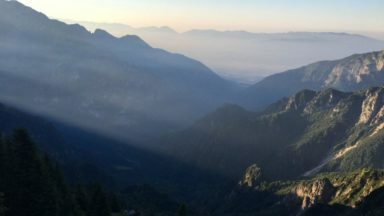 Gillian Price has trekked throughout Asia and the Himalayas, but now lives in Venice and is exploring the mountains and flatter bits of Italy. Starting in the Italian Dolomites, Gillian has written outstanding Cicerone guides to walking all over Italy as well as Corsica and Corfu. An adamant promoter of public transport to minimise environmental impact, Gillian belongs to Mountain Wilderness and is an active member of the Venice branch of CAI, the Italian Alpine Club.